Competition Engineering Coil-Over Axle Housing Brackets replace the weld-in axle brackets found in kit 247-2047 and 247-2051. The 1-1/2'' radius accepts 3'' diameter axle tube and uses 3/8'' shock bracket mounting holes. 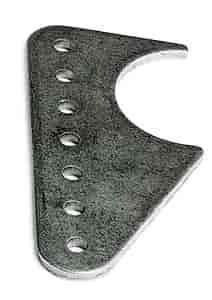 The brackets are made of 1/4'' hot rolled steel. 3414 is rated 5.0 out of 5 by 1.